1. 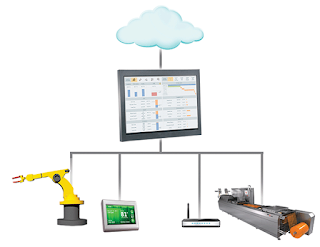 Strength of the industrial software portfolio to deliver closed loop solutions, through the four value elements of connect-collect-analyze-act across the customer’s value chain. 2. Differentiation of our Industrial IoT position and strength: through industry specificity, our global installed base and industry strength platforms used to scale our customer’s operations. 3. Leverage of cloud and big data based technologies to deliver customer value through Industrial IoT. 4. Case studies and examples of how our software portfolio delivers tangible value to people, operations and assets using our connect-collect-analyze-act closed loop solutions. In summary, we demonstrate innovation and customer value with our proven, Industrial IoT enabled portfolio for real-time connectivity, workflows, business logic and industry solutions complemented by our strategic partnerships across the customers’ value chain.